This satinwood and mahogany table has been crafted in an elegant and refined style, making it well-suited to either an antique or contemporary style interior. 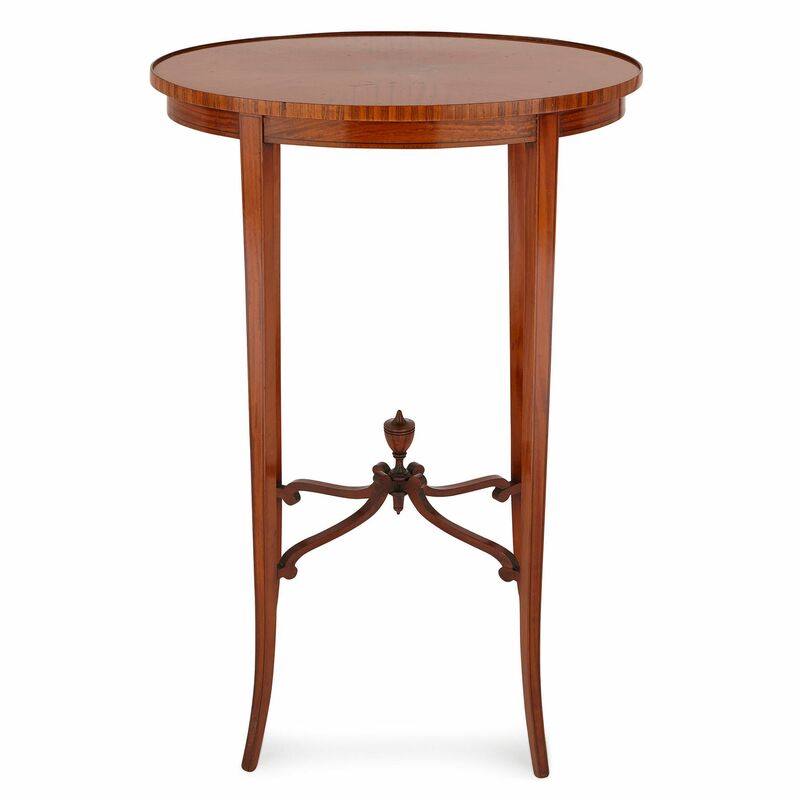 The satinwood occasional table stands on four simple, saber legs. These flare out slightly in a concave shape, like a saber or curved sword. They are squared and taper near their feet. 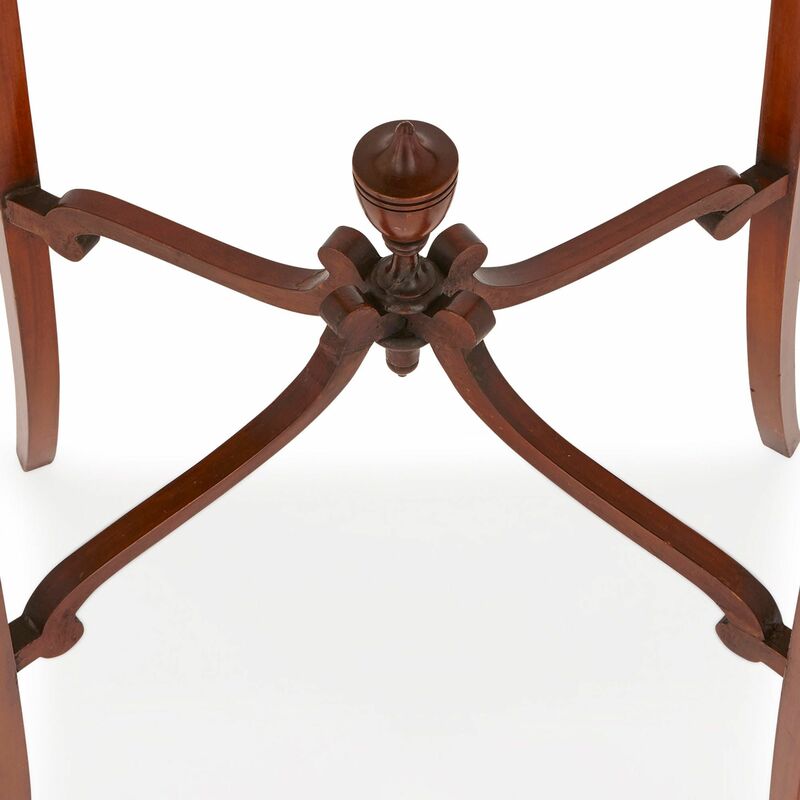 A mahogany stretcher, with four scrolled supports, meeting at a pitched centre point topped by a stylised urn, connects the table legs. 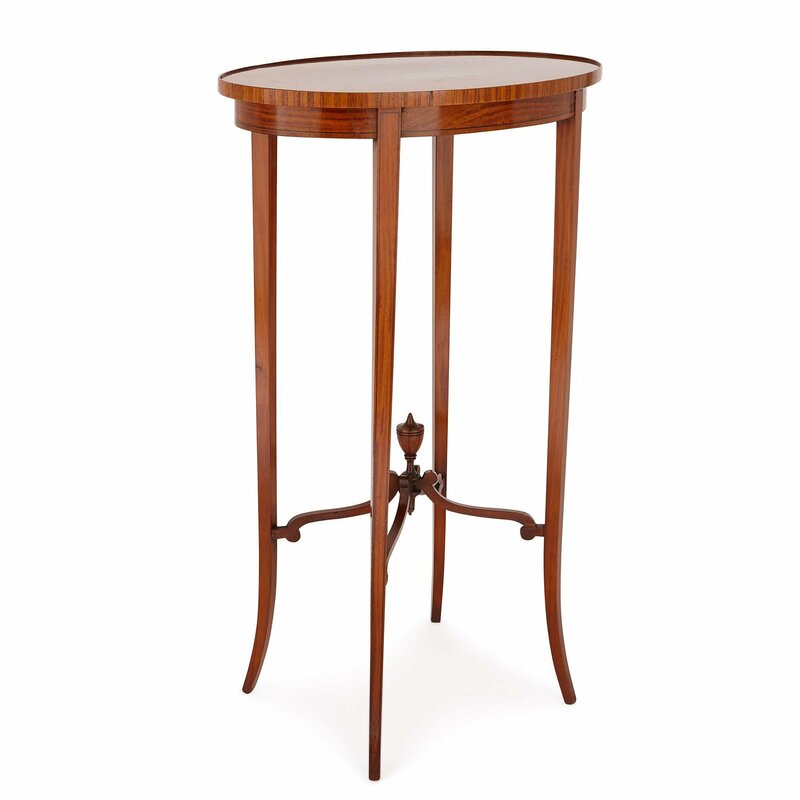 Supported by the four table legs is an oval-shaped satinwood top. This top is encircled by a simple raised edge. 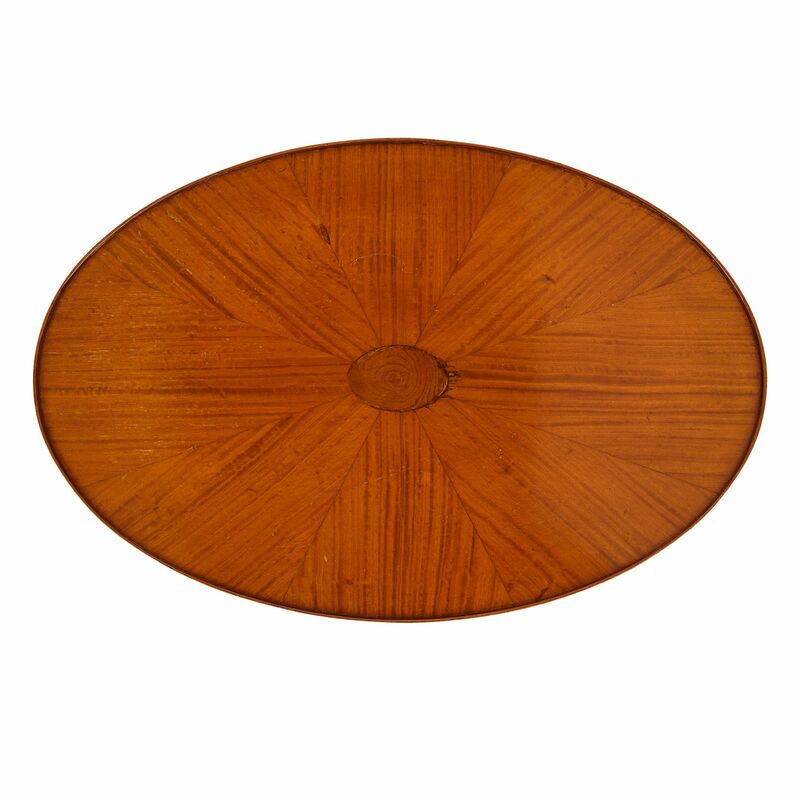 The table top is decorated with a satinwood parquetry design, which radiates from an oval-shaped centre. 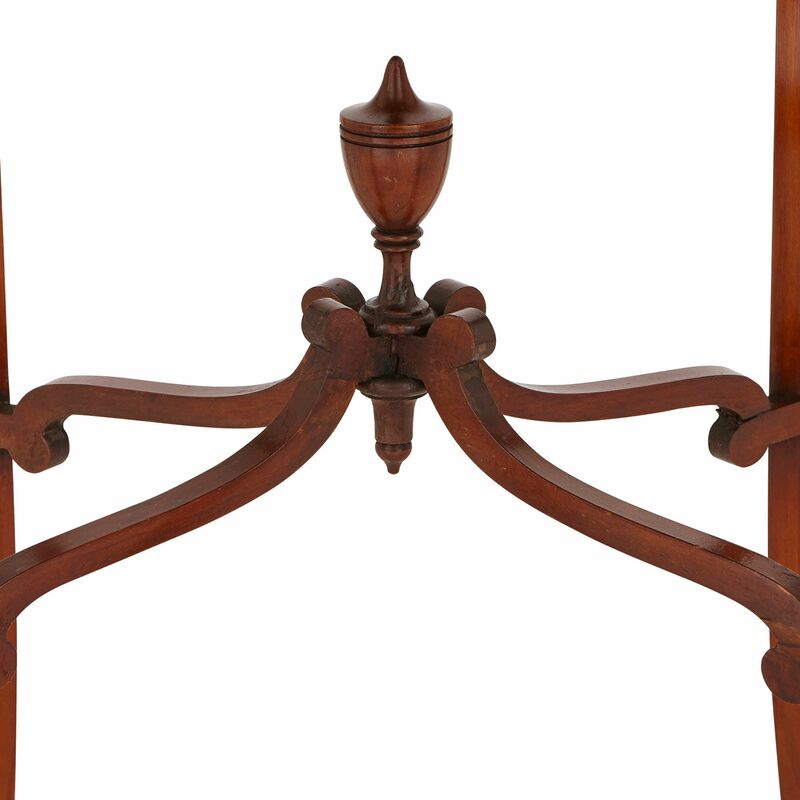 This elegant occasional table could be used to support a lamp, a vase full of flowers, or a fine piece of decorative art.